I have made every effort to make these articles on the rules easier to read and understand. I hope you enjoy it, and use it wisely. This tactic is genius in its simplicity. The idea is to keep the attention on your opponent by simply peppering them with the ways in which they fail to be perfect. No one is perfect and so the rule is powerful. In fact, it is one of the most powerful tactics in the Alinsky arsenal. We will see as we go along that this rule, along with the fifth rule and the thirteenth rule are the heart and soul of how the Obama Administration uses Alinsky rules to their benefit. Why is this important to understand? It points out a basic flaw. People often profess one thing and then live in complete contradiction to what they profess, or at the very least neglect the things they claim to be most important in favor of the most expedient. Let us be clear that people being people are generally going to fall short of any expectations they put upon themselves. The key Alinsky found was that this could be used to discredit those making claims they did not live up to. It is a deceptively simple and powerful tactic. For example, suppose someone you know is encouraging you to stop smoking (oh, I don’t know let’s just say it’s the President of the United States) because they assure you that they are concerned about your health. They know the dangers of tobacco and they care about you. You really need to stop smoking so you can be around to be their friend. Now let’s suppose you find out that this person (oh, I don’t know let’s just say it’s the President of the United States again) is actually smoking themselves. The next time they tell you that you need to quit smoking, what is the first thing you’re going to say? You are going to say, “Hey, wait a minute. Don’t lecture me about smoking when I happen to know you do it yourself”. You would be telling them to live up to their own book or rules-this is Alinsky’s fourth rule, and it is a strategy against which it is difficult to defend. How has Obama used it? In essence what I am presenting through these series of articles is the framework of just such a manual for Conservatives (yes, a book on this does exist). While Conservatives are beginning to come around to what Rules for Radicals is all about, I have been screaming about it for way too long now. They destroyed Palin, or Palinized her, because she was too nice to fight back using their own tactics, or because the McCain handlers held her back. I don’t think she’d make that same mistake again. In fact, there were signs towards the end of the campaign that her “going rogue” was about finally fighting back. Remember, “Paling around with terrorists”? An important point to consider: one does not need to sink fully to the levels of Alinsky style tactics to defeat them. Sometimes, yes. Sometimes, no. Knowing how to spot them, how to counteract them, and when to use them and when not to is the key to beating this insidious political methodology. The author of the above article came to the conclusion that Palin was just too nice. The result was that she was destroyed by rule four. Her pregnant daughter is perhaps the best example. Constantly harping on the fact that Palin believed in abstinence and had a daughter who was pregnant out of wedlock beat her nearly to death. At the same time, Obama was telling everyone that his family was off limits. In fact, he feigned that he felt Palin’s family should be off limits. All this happened while Axelrod, Plouffe and the rest of the hit squad were finding every way possible to trash Palin and her family. Obama did what he always does – he distanced himself from the despicable attacks by using his proxies. All the while, however, we know full well that none of it was happening without the approval of Obama. Challenge me on this one if you would like to Mr. President. Rather than try to write a book here instead of an article, let me just mention that similar tactics were used against McCain, Bush, the GOP, our military, Hillary Clinton, and Geraldine Ferraro amongst others, but I’ll save that for a potential book. How to recognize it and counteract it. Recognizing it. This is one of the easiest Alinsky rules to spot. Whenever you hear arguments like, “You claim to be a Christian, but …” or “When Republicans were in charge, they …” or any of a thousand other versions, you can be sure it is an Alinsky inspired attack using the fourth rule. Conteracting it. The single most important thing to remember is that this rule works both ways. The best defense in this case is a good offense. You need not use the rule if you choose not to, but if you are attacked with this tactic it is always better to turn the discussion back to your opponent and show them where they do not live up to their rule book. In addition, it is critical that you don’t paint yourself as some moral saint. If you do, every single failing will bring refrains of hypocrisy from your detractors. Be very careful how you present yourself. Make as few claims as possible. So can a Conservative, with good conscience, use the fourth rule to their advantage? Absolutely! There is nothing wrong with asking any politician to live up to their own standards. Let’s take a few obvious examples of how Conservatives can use the fourth rule against Obama and his Administration. Candidate Obama made some very specific promises regarding transparency. One such promise was his pledge to allow everyone to see the behind the scenes haggling over health care reform. Once again candidate Obama was big on transparency. In fact he continues to claim that his Administration is the most transparent in history. Such a claim would clearly require an entirely new definition of the word “transparency”. Judging by his conversation with George Stephanopolus, he isn’t entirely convinced by dictionary definitions. Another area to at least be mentioned is Obama’s promises to keep lobbyists out of his Administration. You need only view one of the videos above to see that he made such promises. However, he has not even come close to living up to this promise. This subject would require at least an entire article dedicated to this subject alone, but the subject matter should provide fodder for those trying to press the Administration to live up to its book of rules. Let me restate that. 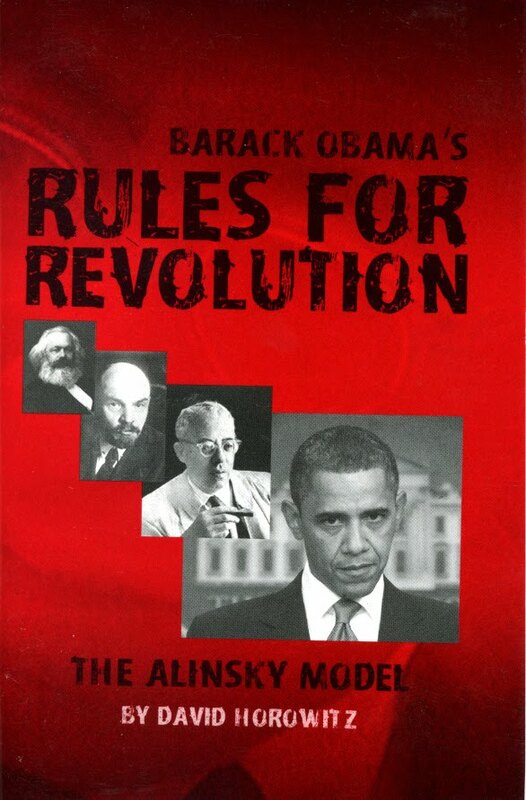 We should not be asking “The Administration” to live up to their book of rules; we should be demanding that President Obama live up to his own book of rules. You will see when we study rule 13 that it is important to make sure your target is personalized. An Administration is not personalizing your attack. Challenging Barack Obama is personalizing your target. There are many other ways you can challenge President Obama to live up to his book of rules, or to challenge any politician to live up to their book of rules. For example, the takeover of GM and the abrogation of bankruptcy laws is an example of failing to live up to their own rules. This is a matter of his belief in the rule of law and his violation of it and his profession of a belief in capitalism and his violation of it. Chris Dodd and his troubles with Countrywide. Charlie Rangel writing tax code he does not live up to. Timothy Geithner in charge of Treasury and the IRS when he clearly avoided paying his taxes. Nancy Pelosi’s promise to “Drain the swamp” as Speaker of the House, and yet she allows corruption like Rangel to continue. Rep. Grayson claiming Republicans want you to “die quickly” and then calling out Joe Wilson on his remarks and making ridiculous statements about the holocaust and Republicans. The list is far too long, but I think you get the idea. The fourth rule is a powerful one, and it is perhaps the easiest one to use effectively. Politicians in particular make very easy targets for this tactic. Simply find out what they’ve claimed about themselves and/or what they claim to believe and then find ways that they have violated those claims. Don’t even feel guilty for demanding that people actually live up to their own book of rules! I Still Hate You, Sarah Palin by David Kahane on National Review Online. Available at: http://article.nationalreview.com/?q=NDE3MmE5MDVmMGM1YjQ2NmVhMjJkN2I2ZTcxMzhlNjU=&w=MQ==. [Accessed October 28, 2009]. House Democrats Lock GOP Out of Committee Room – WSJ.com. Available at: http://online.wsj.com/article/SB10001424052748704597704574485783622311444.html [Accessed October 28, 2009]. Thanks for putting this together. It’s very helpful when dealing with rabid libs. Thanks you for doing all of us that really love our country a great service, you are a great American. “They” did not destroy Palin using any rule book. Palin destroyed herself every time she opened her rogue mouth. The Katie Couric interview is painful to watch; she simply wasn’t ready for prime time. If she wasn’t attractive and relatively “young,” no one in your wing of the Republican Party would give give a hoot about her. The so called “progressives” used this tactic well during the campaign to make her look irrelevant. They continue to do so- now I understand why. She MAY not be ready for the Presidency- but she’s close enough to scare them. These tactics do not seem to be as effective anymore- enough of us have caught on to nullify their effectiveness! alinskydefeater: Where are the explanations for the rest of the rules?! I cannot find any past #4! I NEED THEM! Seems like this is the new Obama tactic to get reelected in 2012. He sends out the loyal attack dogs who have no pride or decency to make ridiculous accusations and lies and gives them full press coverage. Then Obama stands forward and says: Krugman is a fool – look at me, I’m a statesman! I’m not a nut like that guy. If it weren’t so serious, I’d enjoy watching people like Krugman et al say “Thank you sir, may I have another!” as O admin commands them to bite and then spanks them and says, Bad Dog! This is a tactic, sure enough, but it also goes to the difference between progressivism and conservatism. Progressivism is a cup half empty; it starts with perfection and assigns demerits (or grievances) for the ways in which the world and others come up short. So in that sense Rule #4 is true to the spirit of the movement. Conservatism is a cup half full: recognizing that we ourselves and the world are not perfect, but grateful for what we have. So we’re not really equipped to apply Rule #4 backatcha. It’s not part of our nature. But we can try explaining for those who want to listen what aspirational values are. At the Intersection of Jake Tapper and Alinsky Rule 4 | Yes, But, However! Moe Lane » Joe Biden gets a Detroit woman killed.